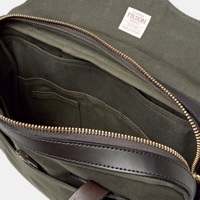 Three Common Bag Mistakes to Avoid | Valet. Men tend to have a lot to carry these days. 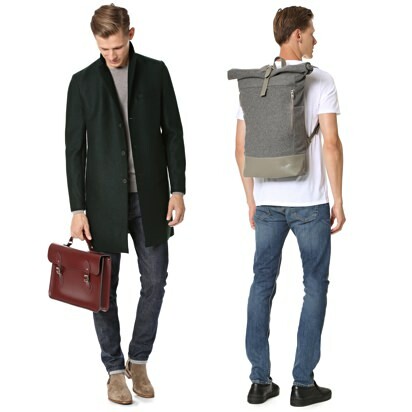 So it's no wonder more and more guys are carrying bags—from classic briefcases and messengers to sport-influenced backpacks and rugged totes. But that also means plenty of guys are lugging around bags that are bringing down their style for various reasons. Here are three common pitfalls and easy ways to rectify them. This one's pretty simple, so we're not sure why so many guys get it wrong. Laziness, perhaps? Men don't need to swap out their bags as often as women swap out their purses, but you should probably think of your bag like you think of your shoes. If you're pulling together a sharp look and opt for some dress shoes, then your sporty backpack or rugged canvas tote might look a bit out of place. And similarly, that leather briefcase loses some of its dapper appeal when worn with sweats and your Nike Frees. We get it, bags can be expensive. And sometimes that "faux leather" bag looks pretty damn convincing in the store or on that perfectly styled model in a cleverly lit photograph. And it's so affordable! But like most things that seem too good to be true, a pleather bag is an empty victory. After a few weeks of use, the fake stuff starts to crack or fade or split around the seams. Then it no longer looks like leather. It looks like a cheap, ugly facsimile. Real leather doesn't have to be as expensive as you think. 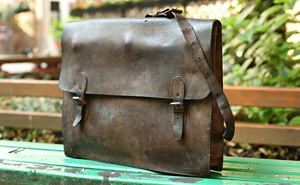 If you're looking for a bargain, you're better off buying a vintage leather bag (because the real stuff only gets better looking and softer with age) or a bag from a smaller brand with less markup. A good looking bag is one thing, but just like in life, it's what's on the inside that really counts. And in the limited space of a man's bag, the less he has to tote around the better. Keep a mindful eye on your carryall's contents. Don't let it get overstuffed with nonessential items. Once a week, edit your bag's contents by taking everything out, flipping it upside down to shake out any dust, dirt and inexplicable debris that has accumulated. Carrying a bag that weighs more than 10 percent of your bodyweight can injure your back and shoulders. Smart carry-alls for every budget and every type of workout. In which we find the best made carry-alls (from backpacks to briefcases) for both work and play.